I took my alpha out for a nice long ride today, managed to cover 53km over 3h 20m with total elevation gain of 984m. On board was my 20ah 12s multistar pack with 50v at the start and 46v at the end with sag of about 2v at full throttle. The photo is at Black Mountain Tower in Canberra at about 809 metres. The bbshd handled the climb so well I was impressed, it was warm to the touch but not hot at all and there was plenty of climbing after that as well. Ian, very clever to fit the BBSHD onto the Alpha - I am always impressed with the BBSHD, there is one on my wife's bike, and it shines when the going gets tough uphill. Hey IanM, when you talk about extra long chainstay length.. did you lengthen it, or are you referring to this just being an affect of the mid drive positioning. I notice your seat frame is angled back a bit. Is this because your a big dude, or because of other adjustments...? 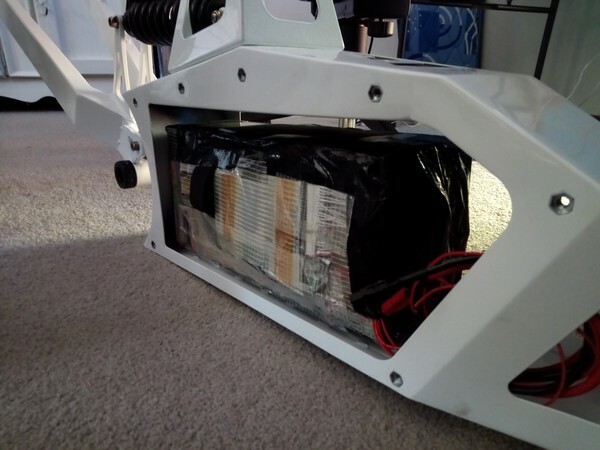 Moving on, I just finished a battery for a stealth bomber for a guy in sydney. I thought id test fit it into an alpha frame I have lying around. Its a 20s10p battery, with a 5 cell wide construction in a staggered arrangement its a fairly easy fit with bare minimum padding. So good to know this configuration fits both the bomber and alpha. Next battery I will make a few slight adjustments to make it even more compact and even better protected. so 30ah (samsung 30qs) and 72v is pretty damn impressive. weighed just over 10kgs. here's a cpl of pics to get the gist of its size and fitting as its nearing completion. Hi Lash, I am talking about the length between the rear axle and the bottom bracket axle. I am fairly sure that this was done by stealth to provide anti wheelie characteristics when running high power levels. 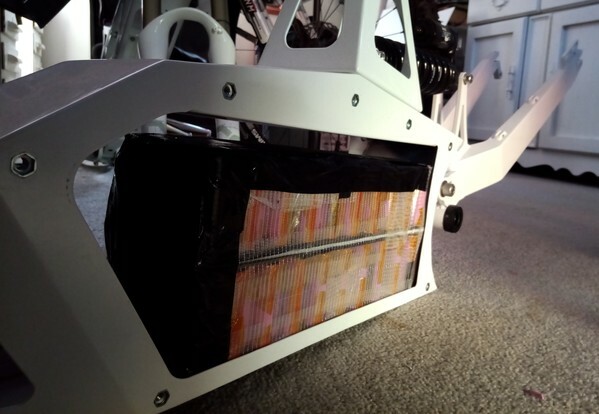 When the mxus was on there at 6kw there was never any problem to lift the front wheel and still easy to prevent flipping by keeping body weight forward. Now with only 1.2kw peak it's a lot harder. Long wheelies are near impossible now with the bbshd on there. I made a spacer for the seat post tower in an effort to shift my weight rearward, essentially making a slacker seat tube angle, it made it better but it's still hard to lift the front. I'm not too worried because the bike is much more usable now and it's getting ridden a lot more now than before. I suppose I could just get a mtb frame however when I tried the bbshd on my giant trance X1 there was a lot of flex in the rear suspension under power, the same happened on my old giant A/C and it was worse on that frame. 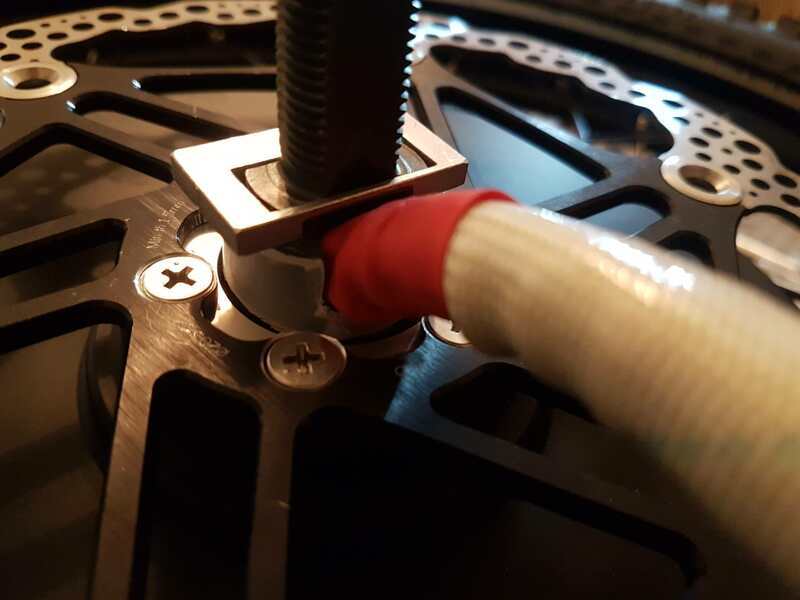 The alpha has zero flex when under full power and also with the urt pivot there is less issues with the drivetrain when accelerating and shifting gears because there's no chain growth as the suspension moves. Oh good work on the battery build I may be in the market for a 14s 8p pack soon. Sweet moves there Rick! Now you just need to mount 2 sub machine guns either side of the frame and you can gun em down Mad Max style. I took my dad out for a spin on my Alpha and Fighter today to a local solar farm. Was a blast and the full 13KW+ on tap on the Alpha scared the crap out of my dad. The allen bolt on the left hand side crank seems to keep coming loose on my Alpha. It's probably not an Alpha specific thing, but we had to tighten it about 6 times on the ride as the crank kept getting so loose it felt like it was about to fall off. Should I just tighten the crap out of it with some thread locker on there or is there a technique to getting square taper cranks to stay put? what brand crank arms, check the manufacturers recommended torque spec, usually around 25-30 ft pounds for square taper cranks.. remove the crank arm and check for deformation of the aluminum crank arm at the spindle interface.. its very easy to under or over tighten crank arms resulting in damage to the crank at the spindle interface, then it will never stay properly secured and should be replaced.. Cool! Is this part of a bigger video to follow ? I see you had a camera man, with a gimbal, so I'm guessing there could be a bigger vid to follow. Ducky, your chrome alpha is looking sweet. For sure get some blue loctite on those crank bolts. Also check for wear on the threads both male and female and check the physical fit of the cranks. Alot of people tend to spend the bare minimum on a BB and crankset, especially when the pedals are largely ornamental on many bikes! And while spending $500 on a crank set seems a hideous waste of money I've also seen some nasty cast pieces at the bottom of the spectrum that have a not so square taper or have rounded out in short order. Yah, I thought about doing some shooting while actually riding, but I was using real weapons with real ammo. When I evaluated the safety aspect of shooting while riding, not so much the hand gun but the SBR, with one hand, safety disengaged, shooting, safety re-engaged, letting go of the weapon, while the other hand controlled the throttle and front brake, and trying not to crash, with that much divided attention, the possible risk out weighed the coolness factor. There was a lot going on here. With my SBR on a single point TAC sling, the risk of it swinging around and getting caught on my gear, even with the safety engaged, was more risks than I was willing to accept. I could have rigged it better for a real world ride and shoot, but this was kind of a On the Spur moment of opportunity. Anyway how the vid was shot still made out for an entertaining vid I think. BTW, awesome pic of your machines. Next time you get your Dad to go riding with you, snap a selfie with your dad and the bikes. That would make for a real sweet picture. Haha - such a cool video, Rix! Great videos, cant go wrong with ebikes n guns! heheh. Finally got around to fitting some parts today. More incompatibility issues Grr! For Mxus v3. I have 12t single speed freewheel that uses the 1/8 x 1/2 chain "single speed chain". No worries. The cranksets I am hoping to use are the 2 piece shimano hollotechII type as opposed to the square taper ones. Ideally a 48t chainring for 1/8 x 1/2 chain up front is what I'd like. These only come in 130bcd layout it seems! 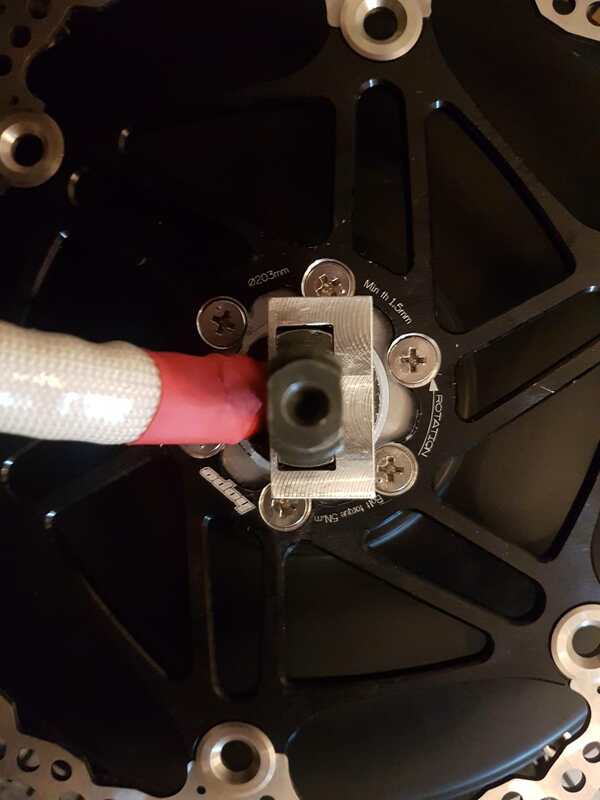 But are there any 130bcd cranks that fit the alpha - with the long 120+mm spindle length!??? The alternative is to use a 104bcd crankset. but they dont have 48t chainrings to suit single speed! GAWD! The only other option is to switch to the other "normal" chain profile of a 7-8-9 speed chain, and use a 48t narrorw wide chain ring for on a 104bcd layout. This means I have to find a new option for the rear freewheel. It seems a 12t "7 speed" freewheel doesnt exist. The closest maybe a 14t or 16t freewheel. But this is not ideal config for top end speed. Any other options? Third option is to go back to old school square taper BB and be friggin DONE WITH IT (I hope)! Crap. Finally managed to put my bike together after all this time. And I get this message. I had some damaged hall cables that I "fixed" but maybe it wasn't enough? Will probably have to tear the motor apart and see. Is it enough to measure connectivity from one end to the other of the hall cables or do I have to measure voltages? 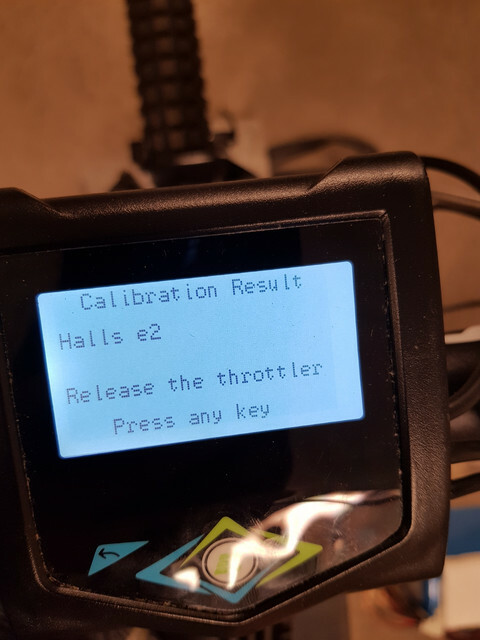 Alright, I measured the volt on the halls connector that comes from the controller with the bike on. Got 2V. Any ideas? 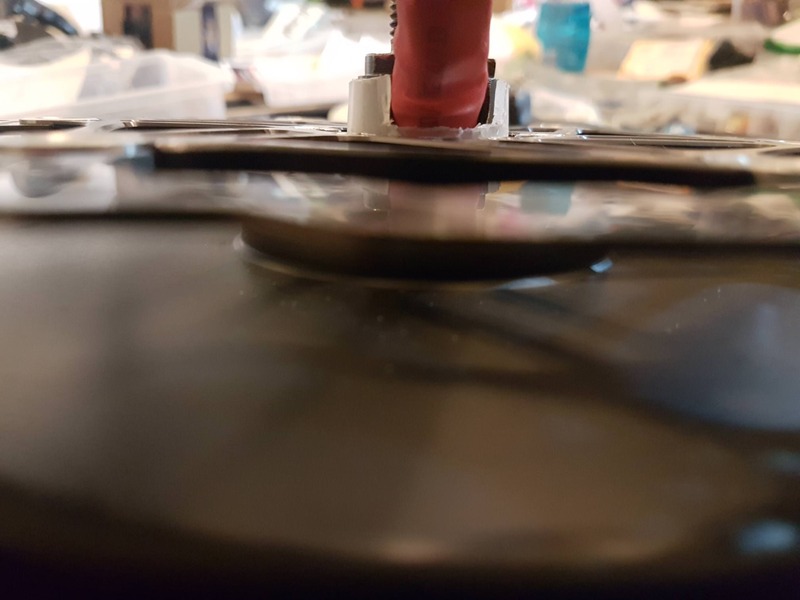 not sure if this is at all relevant or applicable but incase you think it may work... https://www.ticycles.com/store/104mm-to ... cd-adapter . 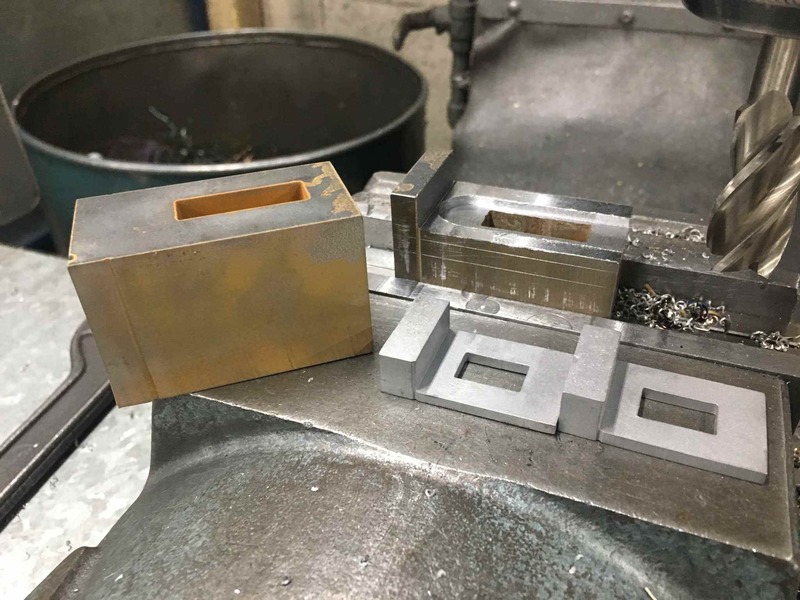 Also i'm getting some torque arm's made for my Alpha soon, which is being cut on a water-jet cutter, so since the adaptor is out of stock I may be able to also get something similar made for you to suite your exact purpose, But guessing it wouldn't be a lot cheaper than the one for sale on that store. just a option for you. and... https://www.ebay.com.au/itm/104BCD-52T- ... 700156988? from what I know you can run wider chains on narrower chain rings as long as the length between the chain pins lines up. But defiantly don't take my word for it. Also good news I got my motor wire issue sorted! Excellent solution \ (•◡•) /. When will you be up and running? Hey \ (•◡•) / , thanks for the links, good to know there is an adaptor out there. But aiming for a clean and simple solution going forward I decided to go back to square tapers for the alphas. This way I get 48t or whatever I want single speed chain ring on 130bcd (5 point chainring) and still keep the 12t sprockets on the back. Chainstay Ccearance is always a consideration too, so this should be a better base to work from with the existing products out there. 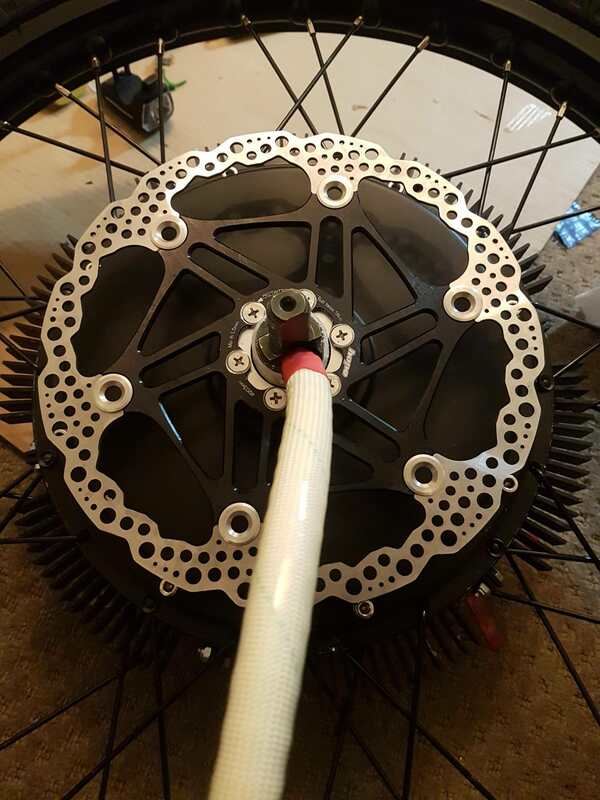 The other "best" solution would of been to go for 14t freewheel using the "7 speed" chains, but meh, I love my 48 and 12 combo, and didnt want to make it any "faster pedal rpm" - especially on these bikes, as they will have even more top end speed than what I'm running on my personal alpha. Having said all that ive managed to get a nice 104bcd 48t narrow wide chainring and crank setup on the beta using the "VXM" crankset. Plenty of clearance and a nice looking setup. I'll wait till I get wheels on to show a picture. This one will be paired with a 7speed cassette and mac10 so all is good with chain compatibility there. I'm getting over aliexpress's shipping times though, its always the dependent parts that get held up, and the not so important ones that get here the fastest. Glad you got your motor mounting all sorted, I'm about to tackle that next, how come you need toque arms for the alpha? Cant just use the existing clamp bolts? Not sure if you saw it previously but I'm running a 60T BCD110 front chainring. I've just got a 14t 5 speed rear freewheel that I will be installing some time soon, so that should give me some decent pedalling speed. There are also some 13t 5 speed freewheels out there, but they are hard to find and a bit pricey. Just another option to mix things up for ya. I think its supposed to be 4.95-5 volts for the throttle sensor. I am not sure though. Anyone here that have a kickstand on your Beta? Or any advice what could fit? I only found this in the Stealth topic, and the price is too high, and with shipping extreme high (more than then the kickstand itself). That was a better price. Shipping cost more than the kickstand itself, but a total cost at 85USD is still cheaper than what I found. I see here on the forum that Vector e-bike sells a kickstand for 55USD (and i think +10USD shipping), maybe it works for Beta too. The pictures does not work so don't know how it looks. Beta frames are going for $856.73.